This was a peculiar project, made in the days when I was living in Las Vegas and known for designing animated sites. 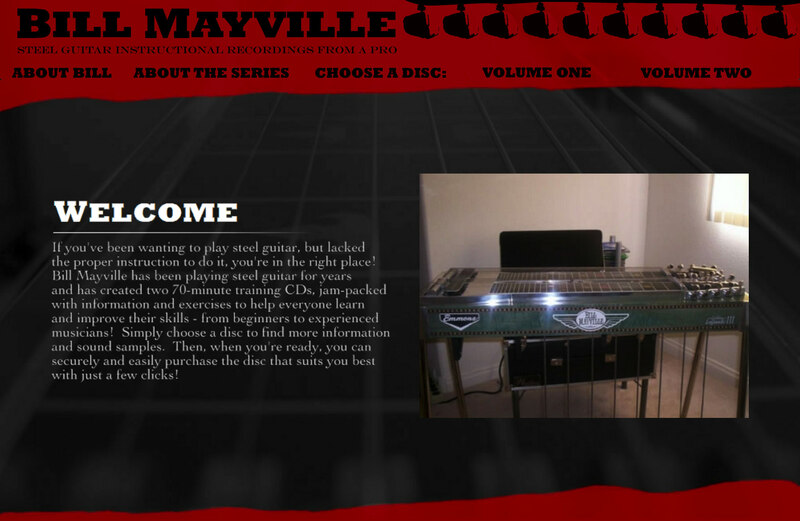 Bill Mayville was a local musician who had a series of CDs that taught people how to play slide guitar. Yep. This was before the days of people posting YouTube videos for things like this. So I created an interface that included a bunch of guitar tuning pegs at the top which would rotate if you clicked certain things. A pretty fun little project.